Gatys, L. A., Ecker, A. S., & Bethge, M. (2016). 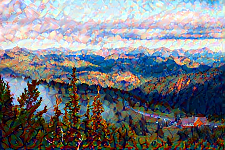 Image style transfer using convolutional neural networks. In Proceedings of the IEEE Conference on Computer Vision and Pattern Recognition (pp. 2414-2423).